From The Pantry side of my business I want to stock your pantry with the purest products available; free from chemicals, low in food miles and direct from farmers and makers. This is how I choose to eat and I cannot sell anything that compromises this philosophy. I have been able to source various Australian spices from small businesses specialising in growing and / or distributing these bushfoods and I can stock your pantry with fresh spices at affordable prices. The Tasmanian Mountain Pepper tree (Tasmannia lanceolata) is an endemic shrub/tree to Tasmania, Australia. It can be found growing anywhere from sea level to alpine regions. As such, it tolerates frosts and requires moist soil. It also grows in full or partial sun. 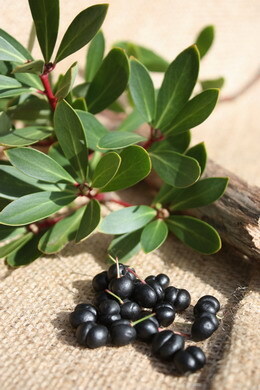 The leaf and berry are used as a spice, typically dried. Mountain pepper was used as a colonial pepper substitute. More recently it has become popularised as bushfood condiment. It can be added to curries, cheeses, and alcoholic beverages. It is exported to Japan to flavour wasabi. The berries are sweet at first with a peppery aftertaste. 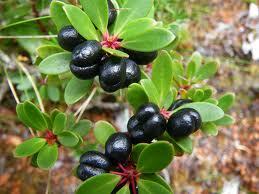 Dried Tasmannia lanceolata berries and leaves have strong antimicrobial activity against food spoilage organisms. It also has high antioxidant activity. Tasmanian ripe pepper berries (black in colour) can be 10 times hotter then ordinary pepper and are said to be considered as one of the world’s strongest anti-oxidant foods and a rich source of vitamin C.
Tasmanian Mountain Pepper Berries can be used as a direct substitute for traditional Pepper in savouries, pastas, bread, soups, curries, cheeses (particularly goat – marinated Fetta), egg dishes AND sprinkled over sweets like chocolate and fudge, in cream and ice-cream and on top of frothy hot chocolate or cappuccino for a unique spicy peppermint flavour. The flavors emerge in all types of infusions; aioli, sauces, honey, cocktails, and vinegarettes; along with a bit of a pink/purple hue. It can be used in place of black pepper in all the usual ways, but with a very light hand. You can also try them in soups and stews or sprinkled on your favorite cut of meat. Thanks to Rotuli for the photo/s. This entry was posted in Cygnet Market, Spices and tagged healthy eating, something special, spices. Bookmark the permalink. I am not sure, Andrew but recently it has been discovered that females will fruit without males but the fruits will not have seeds, which is fine if you don’t intend to propagate them. 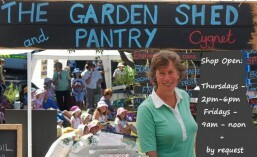 You should ring the people at Plants of Tasmania, in Ridgeway, Hobart for more info.